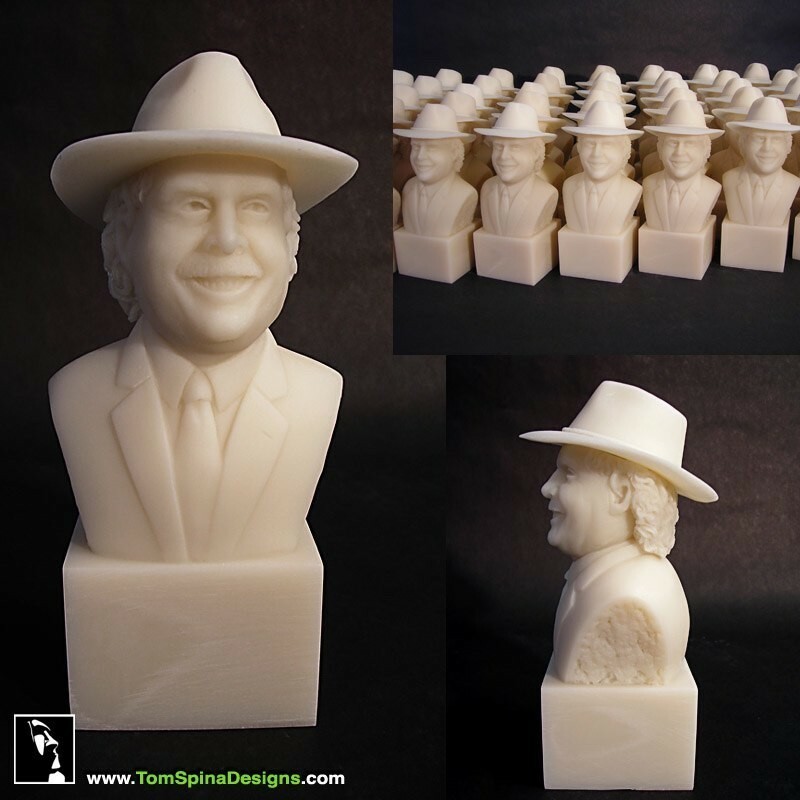 A unique corporate gift idea – a custom bust of your boss or a team member! When the holidays come around, or it’s time to honor someone in your organization, finding the right corporate gift idea can be a challenge! 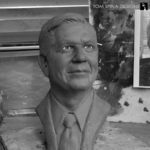 We offer custom work of all types and often companies will come to us to create a bust of a CEO or company founder as a gift. This bust is a classical style likeness, sculpted with plenty of character to reflect the personality of the man we were helping pay tribute to. 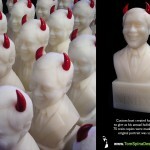 The resin busts were created as extremely unique gifts for a corporate company party. One of our talented sculptors created the likeness using pictures of the subject. 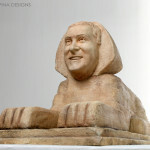 The sculpture was originally created in clay which is then molded to create the numerous resin statues. 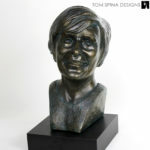 The small scale busts stand about 7 inches tall and were created entirely from photos so the gift would be a surprise. Everything was created and delivered in time for a great event! Are you looking for a fun, sculptural gift for your employees?